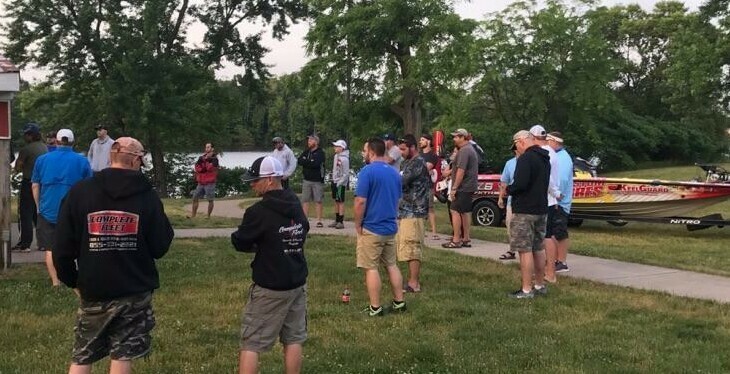 How it Happened: The team alternated between flipping the creature baits on main river wood and working the topwater over weeds also on the main river. 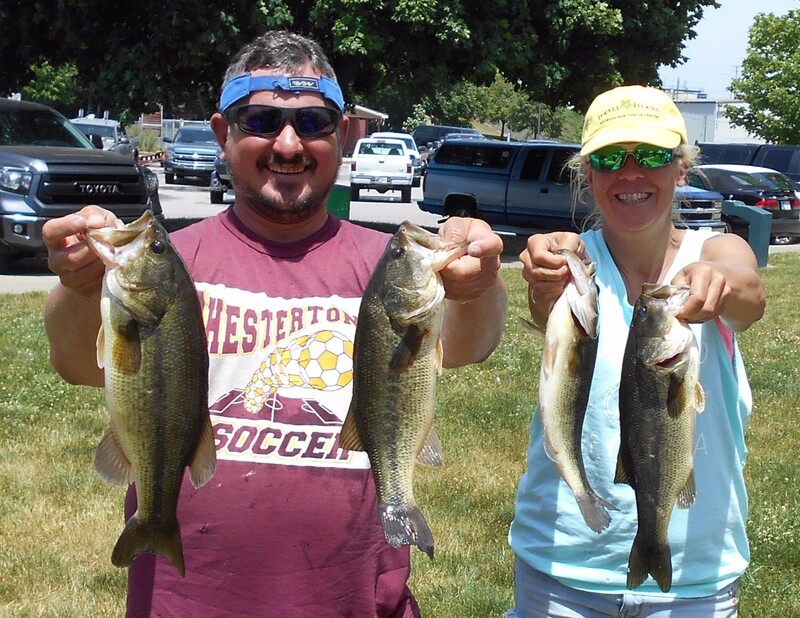 6th Place: Kelly & Kevin Warner defended their 2015 crown with a 6.60 pound limit and won $70. Nevertheless, the work had been done, and their execution was flawless. This magical spot was a hundred yards long that included laydowns and a seawall. Current was also present. Their biggest fish, a 3.04 pound largemouth, was the second biggest bass of the tournament, and was the first to bite. It choked on a Rage Craw after it was flipped into a laydown. A near identical fish came shortly after on the same bait and structure. 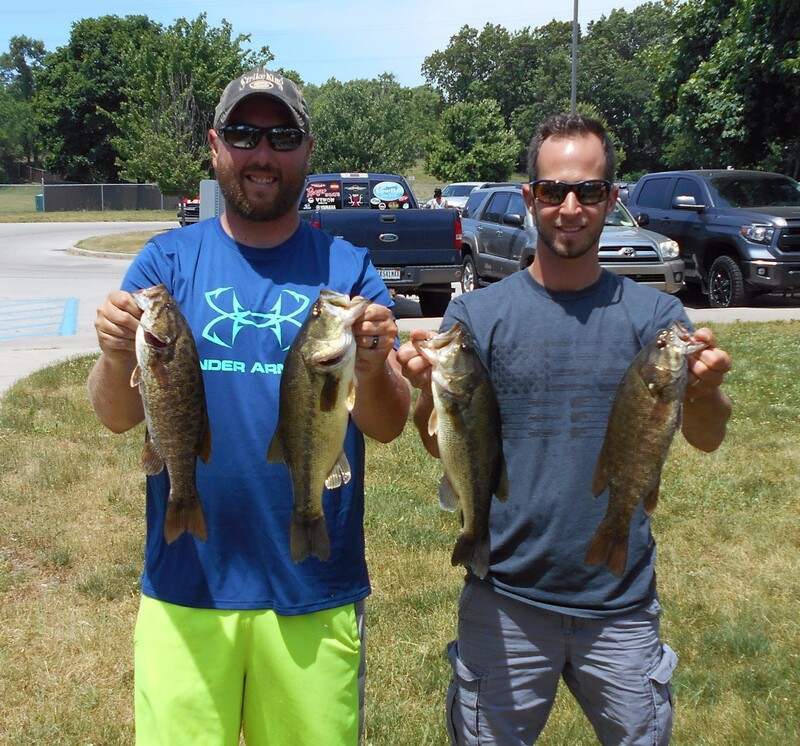 On the outside edge of the same bank, two other keepers came from a Wacky rigged Senko and shaky head worm. How it Happened: The current Standings’ leaders predicted a tough bite and felt the best strategy they could employ was to cover as much water as possible. 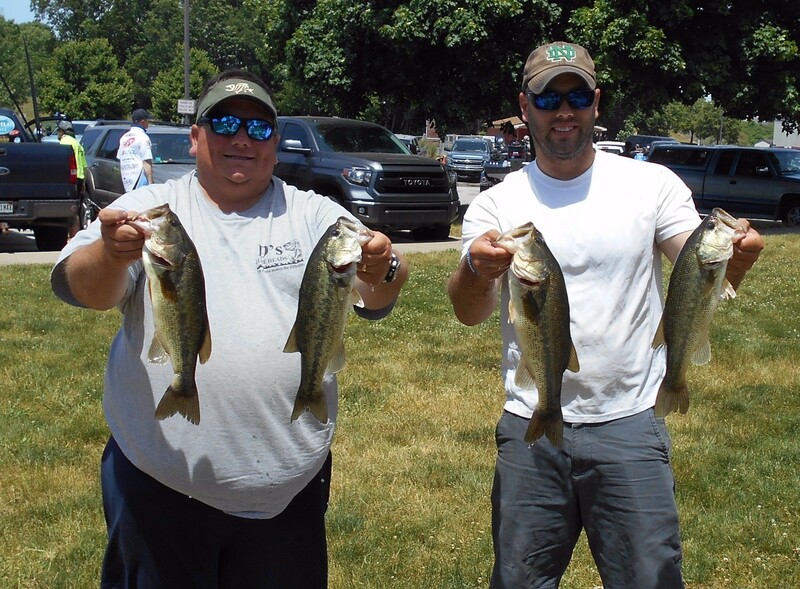 With the trolling motor on 70% nearly all day, the Winona Lake champions accomplished their goal by landing 5 total keepers with buzzing and hollow belly frogs. 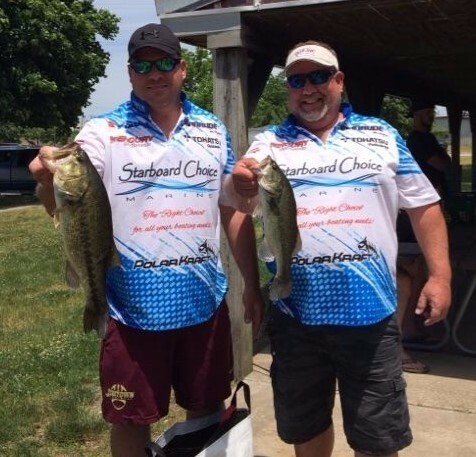 Four of their keepers were caught in the slack water of channels while their largest and final keeper came off a piece of a wood on a main river weed flat. 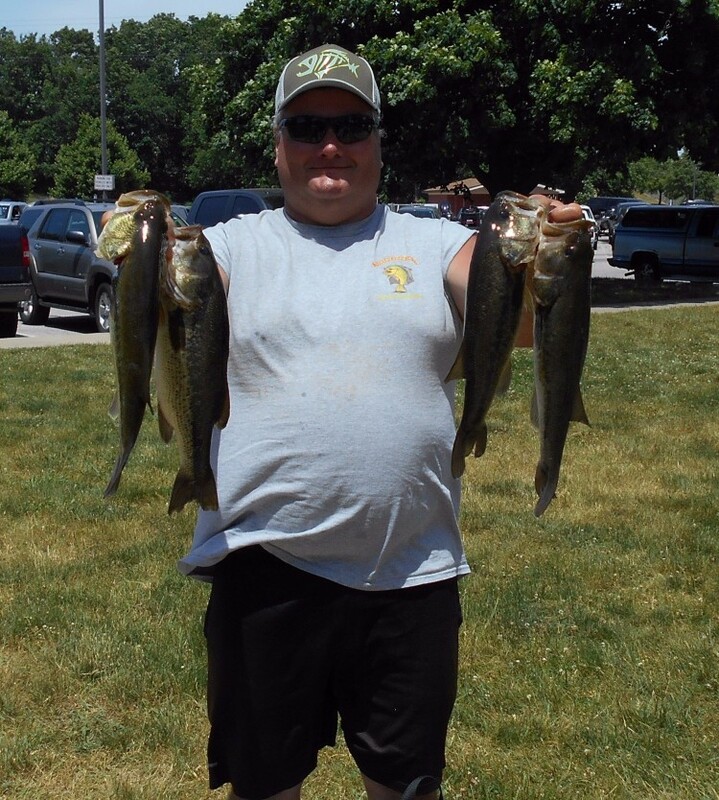 All of their other fish came by flipping wood on the main river with soft plastic baits. How it Happened: A few days prior to the tournament, the team found quality smallmouth far up river in heavy current. 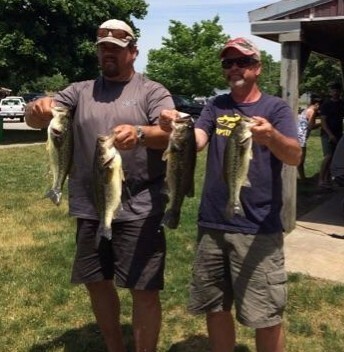 After racing there first thing during the tournament, they quickly landed 10 shorts and a keeper on a Whopper Plopper, but after that the bite stiffened. They could only entice one more bite, another keeper, on a square bill crankbait. Three hours later they ran down stream to flip wood cover along the river edge. They landed two more keepers with a Texas rigged Rage Bug, and a Neko Rig. 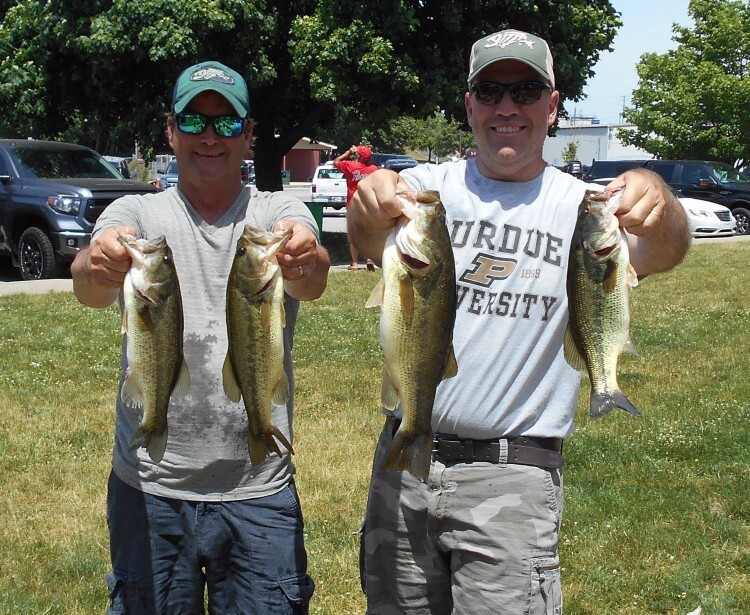 The big bass was caught with a frog in emergent weeds.